Digital or analogue, CD or vinyl, wired or wireless, the new Rotel A11 integrated amplifier and CD11 compact disc player cover the bases. 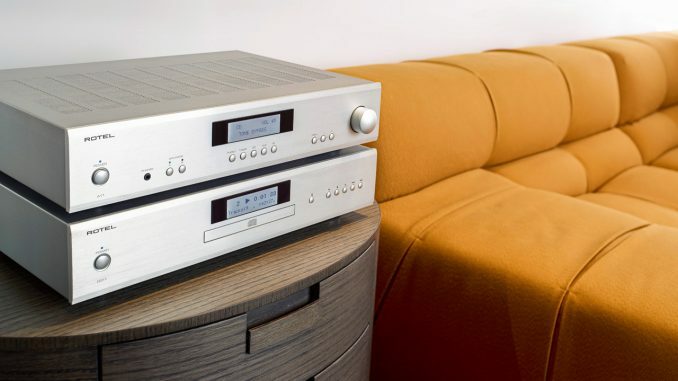 The A11 is a sleek integrated amplifier featuring Rotel’s sleek, no-nonsense aesthetics. Round push-button switchgear, a rotary volume controller and a clear LCD alphanumeric display grace the fascia. A glance at the rear panel reveals a dual set of speaker binding posts, together with four line-level inputs an a pre-output set. For vinyl fans, there’s a MM-compatible phono input, while the A11 also offers integrated Bluetooth 4.2 with apt-X and AAC codecs for sonic quality. 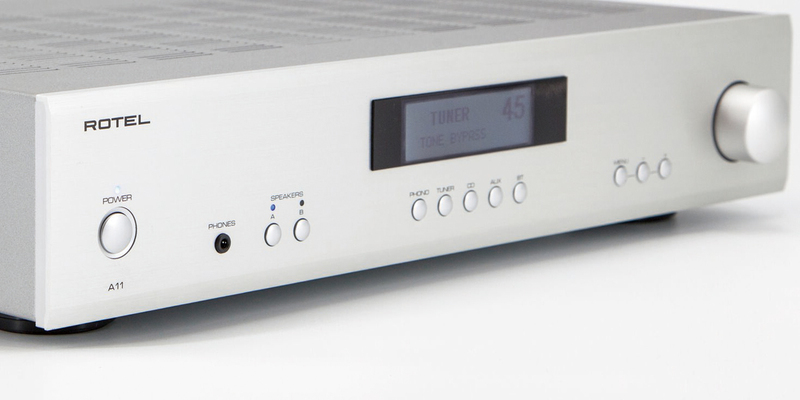 The A11 uses a traditional Class AB amplifier to deliver 50 watts/channel into 8 ohms. A beefy toroidal power transformer ensures plenty of headroom and peak power capability, regardless of load. The CD11 recognises that despite the rise of streaming and digital downloads, the compact disc remains a primary music medium. It mirrors the A11’s appearance as far as casework is concerned, and utilises a traditional drawer-based CD transport mechanism rather than a slot drive. Under the covers, the circuit design separates analogue and digital sections, and also makes provision for separate power supplies in order to combat interference. Digital-to-analogue conversion is via a Texas Instruments 192 kHz/24-bit DAC chip. Both units are custom install-friendly, with 12V triggers and RS232 serial ports for system integration.